Apply two valley-folds of the step #42. 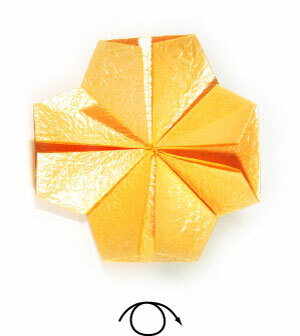 Now, prepare to repeat the steps #38-43 to all four petals. Repeat the steps #38-43 to all four petals. 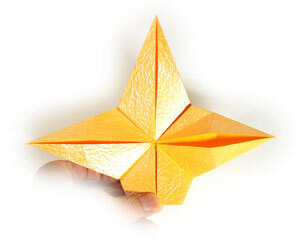 Prepare to turn the origami rose model over.